Judy Greer made her career in rom-coms. Despite her many credits, notably George Bluth's "spring break! "-exclaiming personal assistant Kitty Sanchez on Arrested Development, the actress is probably still known best for playing the quintessential "best friend" in 13 Going on 30 and 27 Dresses. So when I saw her on stage in early August at the Television Critics Association press tour promoting the new Showtime series Kidding, I figured she might have an opinion about the recent spate of romantic comedies. "I think everything is cyclical," she said. "We're very excited about all of our superhero movies but, c'mon, guys, you have to give us a little something else once in a while, you know what I mean?" Greer's plea captures the sentiment I had when I saw Crazy Rich Asians. The story of Nick Young and Rachel Chu is a significant moment for on-screen representation and also a refreshing deviation from the bombastic fare typically found at the cineplex in August. Here's a big, flashy, fun summer movie with zero explosions other than ones of the heart. Sure, there are as many, if not more, abs than in your average Marvel movie, but said muscles are exposed in service of wooing, not fighting. It's such a pleasure to watch that you might find yourself wondering why romantic comedies almost never get a wide release anymore. Over the past decade, the beloved genre that gave us Moonstruck, When Harry Met Sally..., and Notting Hill has been repeatedly buried, eulogized, mourned, and very nearly resuscitated. In 2013, The Hollywood Reporter investigated why the industry had soured on rom-coms, while a writer for The Atlantic wondered "Why Are Romantic Comedies So Bad?" A year later, Vanity Fair declared that indie films would be "the future of rom-coms." 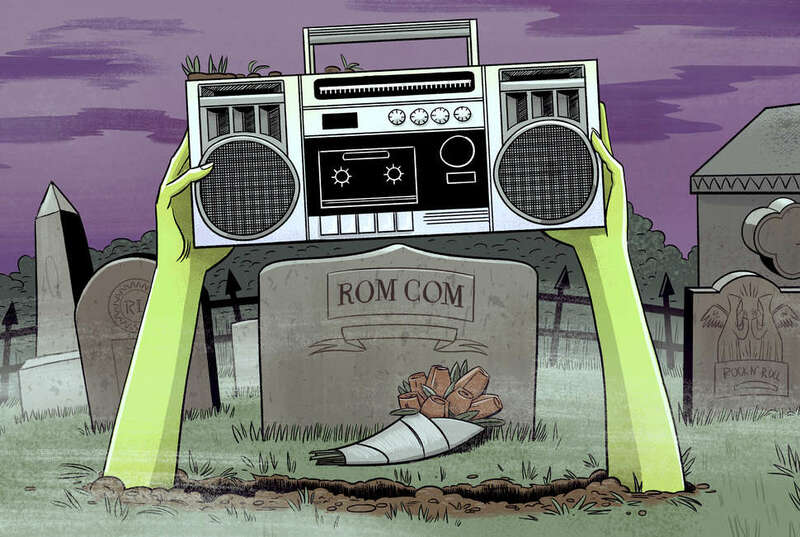 Rom-coms were alive and well, said The New Yorker, at least on episodic TV series like The Mindy Project, Catastrophe, Lovesick, and Crazy Ex-Girlfriend. Huffington Post debated whether 2015's Trainwreck might signal the end of the drought. (It didn't, and in fact was the only wide-release rom-com of 2015; by comparison, 12 were released wide in 1999, with two of them alone starring Julia Roberts.) As recently as last year, The Guardian was saying that Love, Actually murdered the rom-com, while Vanity Fair and Variety countered by crediting Kumail Nanjiani with having saved the genre with the surprise 2017 indie breakout The Big Sick. But this year has been a very good one for romantic comedies. While Crazy Rich Asians is the only major theatrical rom-com release of 2018 so far, Netflix has been churning out a steady stream of movies that would fit in the "Lighthearted Love Stories to Make You Giggle and Sigh" category. The Netflix surge started in May with The Kissing Booth, a critically reviled movie that internet teens adored, and then continued with the well-received workplace rom-com Set It Up and the delicate, John Hughes-quoting romp To All the Boys I've Loved Before. According to a report in the Washington Post, Netflix had noticed that people were rewatching rom-coms and decided that it was an area worth investing in. "We wanted to dive into this space," explained director of acquisitions Matt Brodlie, "that had been abandoned but was still a desire for people to see." While Netflix is famously stingy with data, just knowing that the data exists and had spurred a renewed interest in financing romantic comedies has been heartening for the writers and producers who love the genre. I caught up with Aline Brosh McKenna, writer of The Devil Wears Prada and 27 Dresses, at the Television Critics Association press tour and she said, "What's great about it is as a female filmmaker is you can't convince people that people want to see that stuff without research. In case anybody was wondering, Netflix is putting them on so that means they have research which shows that people watch them." Paired with the perceived success of Netflix's rom-com year, the box-office haul of Crazy Rich Asians -- it made over $35 million in its five-day opening weekend -- proves something Hollywood once knew quite well: that audiences are very willing to watch rom-coms, at home or in theaters, if you make it worth their time. 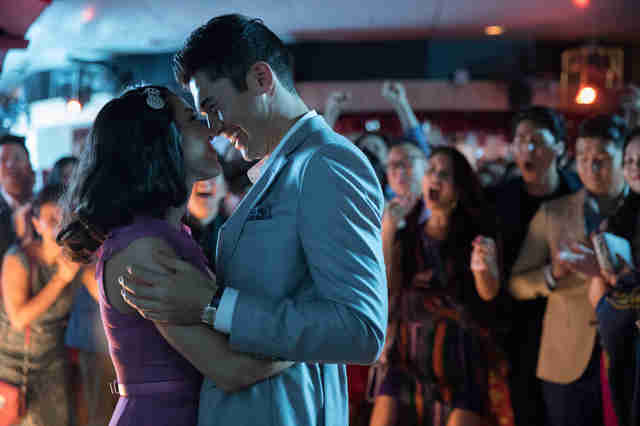 Warner Bros. will try to do just that with its quickly greenlighted Crazy Rich Asians sequel, and New Line is working on Singles Day, about a Chinese holiday where people rejoice in being unattached. Before either of those arrive in theaters, we'll get the Winona Ryder/Keanu Reeves team-up Destination Wedding (out August 31) and the Jennifer Lopez vehicle Second Act (November 21). And Netflix has two more original rom-coms on the docket in September: Sierra Burgess Is a Loser, starring Shannon Purser (you know her as Barb from Stranger Things) as a self-possessed teenager mocked by her peers who develops a text relationship with a hunky boy (played by Noah Centineo, who is also in To All the Boys I've Loved Before) who thinks he's conversing with the hottest girl in school, and Nappily Ever After, which tracks a woman (genre veteran Sanaa Lathan) who shaves her head and finds herself. The free-spending streaming service will continue to pump them out, with at least five romantic comedies in the pipeline for 2019 and beyond. One is Always Be My Maybe, a movie starring and co-written by comedians Randall Park and Ali Wong, in which they play former friends who lost their virginities to one another and reconnect later in life. Interestingly, Park told me that he and Wong weren't aware that Netflix was getting this reputation when they pitched it. "We've known each other for a long time and we had always talked about making our version of When Harry Met Sally...," he said. "That was just something we talked about for a very long time, and eventually the opportunity came to get started on a script, and one of the natural places to take it to for us was Netflix." An entire generation of writers and directors have been longing to make their versions of When Harry Met Sally... (or, in the case of To All the Boys, their version of Sixteen Candles) and now they are finally getting the opportunity to do so. This, in turn, means that we're starting to get rom-coms that often follow a formula that makes them appealing but that, thankfully, look different on their surface. Park said he had never gotten to be the lead of a rom-com in his career. The reason why goes without saying. Always Be Maybe will star two Asian-American leads; To All the Boys embraces its heroine's half-Korean-American identity with its references to the Yakult yogurt drink her sister has for breakfast. Along with those progressions, the shaming that's long been associated with loving romantic comedies (and, let's face it, has always been sexist) is slipping away. 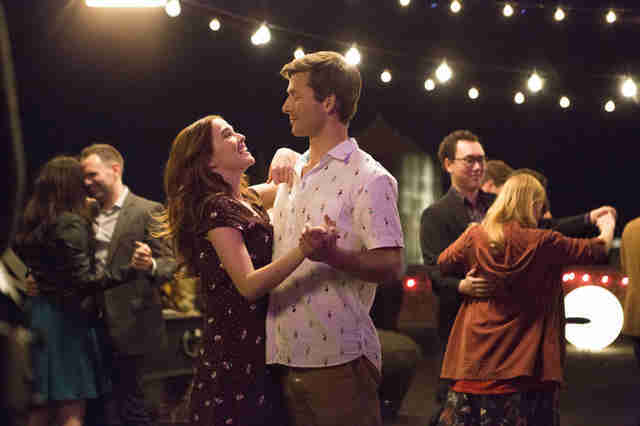 When Set It Up writer Katie Silberman first was pitching her film, she "felt a lot of love for the genre, even if some of them were saying it under their breath like, 'Don’t tell anyone I love rom-coms,'" she told Vulture. But you can just look at Twitter and find that conversations around movies like that and To All the Boys are high, low, thirsty (hey, Peter Kavinksy fans) and everywhere in between. It's not like Park is referencing When Harry Met Sally... and qualifying it as a Woody Allen rip-off, as some critics did when it first came out. Of course the movie stands on its own as a masterpiece of the form. When the rom-com genre was at its lowest point, the offerings were slammed as derivative cash grabs. Whether this boom continues or fizzles, not every movie that gets financed and produced is going to be a winner. Still, you've got consumers and creators who are reverent and eager to pay homage while reinventing. "I do feel like it's a genre that's been, I wouldn't say dead, but it's definitely not thriving like it used to for various reasons," Park said. "I think that romance is eternal and so it's definitely time for it to come back." And to that, I can only say, "Amen."